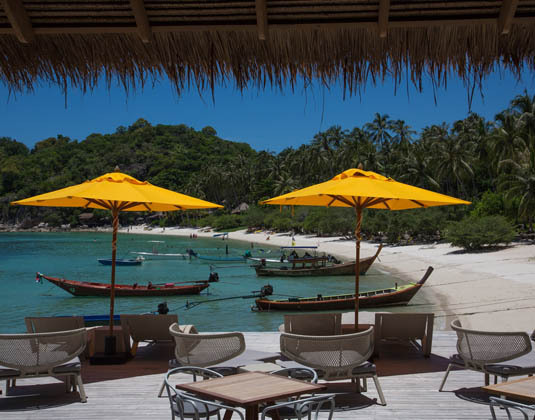 While blessed with some of Thailand's most spectacular beaches and bays, Haad Tien on the island's southern tip is without question Koh Tao's best beach. It is some distance from the main town, but that does ensure that the palm-lined beach remains delightfully uncrowded. Commonly known as Rocky Bay, the water here is crystal clear and has a backdrop of granite cliffs and jungle beyond. The nearest village is close by where a variety of local shops and restaurants can be found. The island's three main centres are Haad Sairee, Mae Haad and Chalok Ban Kon. Haad Sairee is the main hub of activity and the best place for nightlife; most boats will arrive to Koh Tao at Mae Haad and this is where you'll find numerous dive shops, restaurants and bars; while Chalok Ban Kao is peaceful and serene. 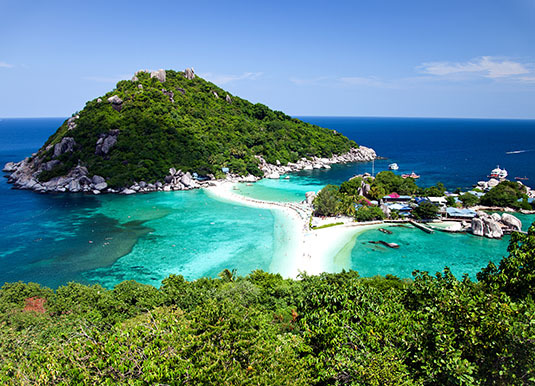 Many believe that Koh Tao's true beauty lies beneath the surface of the crystal clear waters, as stunning coral reefs and abundant marine life have long attracted scuba divers. 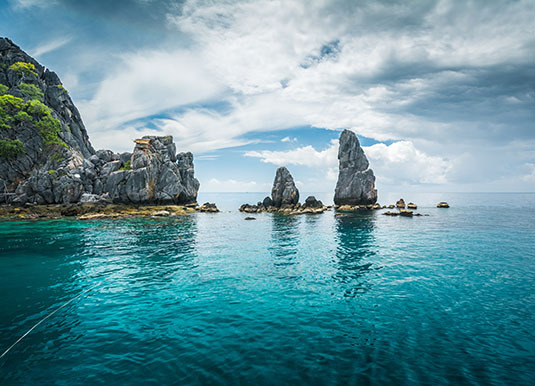 Home to some of the best dive training facilities throughout the world along with experienced dive instructors, Koh Tao offers a wide range of diving options, from deep offshore pinnacles to calm sandy bays. Whale sharks are seasonal visitors and this is probably one of the few places in the world where you can see these gentle giants while scuba diving. Call and speak to one of our travel experts who have experienced Koh Tao personally. 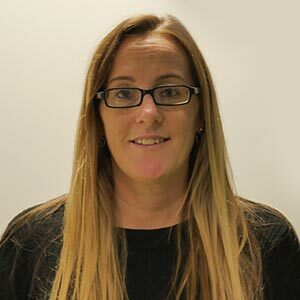 There are no direct flights from the UK to Koh Tao. 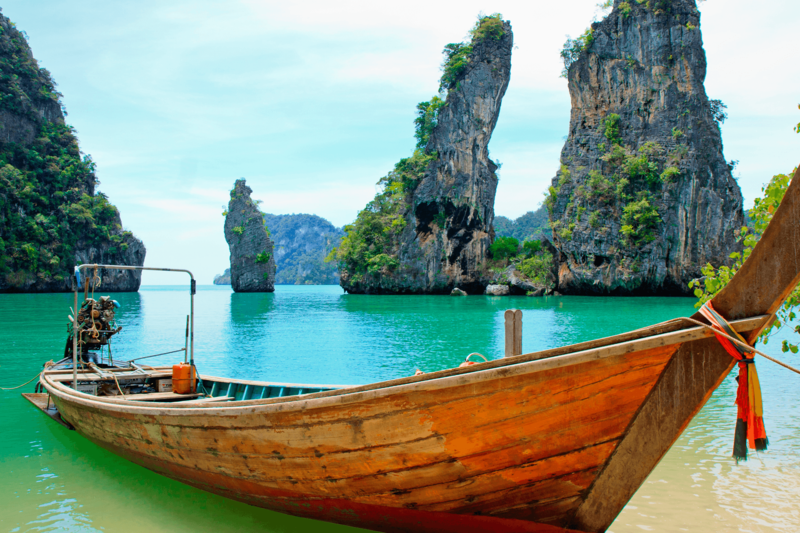 Bangkok is approximately 11 hours 30 minutes (non-stop flights) from the UK, the onward flight to Koh Samui is approximately 1 hour 30 minutes and then Koh Tao is a 2 hour boat journey away. 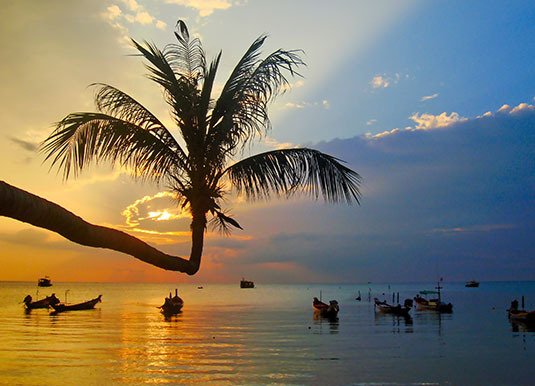 Koh Tao can be visited all year round although conditions are changeable throughout the year. Koh Tao’s monsoon usually arrives around the end of November, which can bring heavy rain, strong winds and high waves – although boat services usually continue. From October to March the tide is high so it’s better for swimming and snorkeling, while from April to September when the tide is low during the day, the beaches are wider for sunbathing and beach activities.